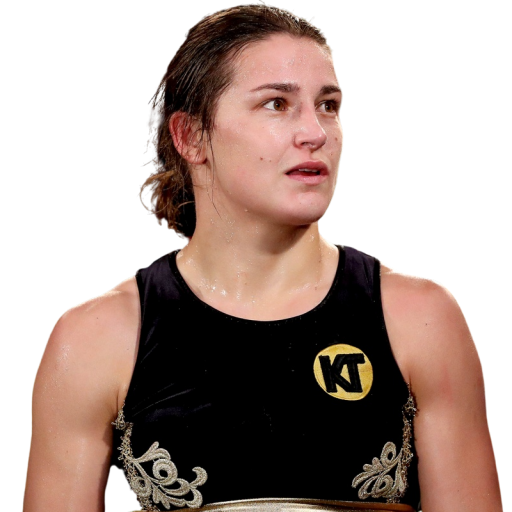 Katie Taylor (born 2 July 1986) is an Irish boxer and former footballer. In professional boxing she is currently a unified lightweight female world champion, having held the WBA title since 2017, the IBF title since 2018, and the WBO title since March 2019. 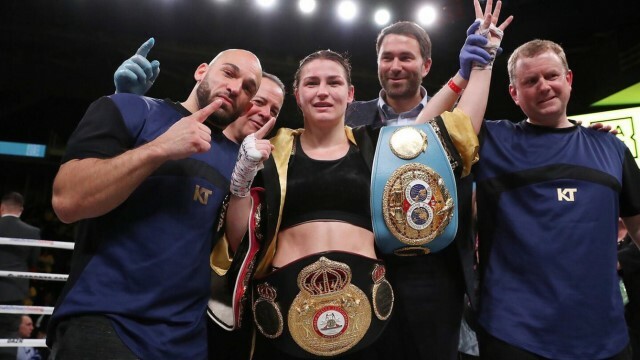 As of January 2019, she is ranked as the world's best active female lightweight and second best active female boxer, pound for pound, by BoxRec. 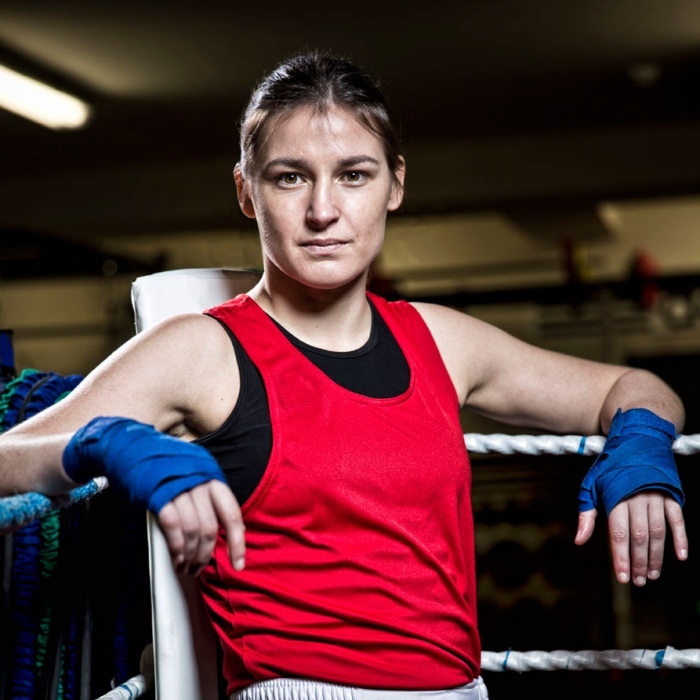 Katie Taylor is also currently ranked #1 P4P female boxer by Boxing Action Magazine. In her successful amateur boxing career, Taylor won five consecutive gold medals at the Women's World Championships, gold six times at the European Championships, and gold five times at the European Union Championships. Hugely popular in Ireland, she is credited with raising the profile of women's boxing at home and abroad. Regarded as the outstanding Irish athlete of her generation, she was the flag bearer for Ireland at the 2012 London Olympics opening ceremony before going on to win an Olympic gold medal in the lightweight division. Taylor turned professional in 2016 under Matchroom Boxing, and is known for her fast-paced, aggressive boxing style. Taylor was born and raised in Bray, County Wicklow and is the daughter of an Irish mother Bridget (née Cranley) and English father Peter Taylor. Her father is originally from Leeds and he first visited Bray to work with his father in the amusement arcades on Bray seafront. After meeting and marrying Bridget, Peter Taylor decided to settle in Ireland. In 1986, he was an Irish senior light heavyweight champion boxer. Originally an electrician by trade, Peter eventually became Katie's full–time boxing coach. He also coached Adam Nolan who, like Katie, also represented Ireland at the 2012 Summer Olympics. Bridget also developed an interest in boxing and became one of the earliest female referees and judges in Ireland. Taylor has three older siblings – Lee, Sarah and Peter, the latter a professor of maths at Trinity College, Dublin. Together with members of her family, Taylor attends St. Mark's Church, Dublin which is an Assemblies of God Ireland Church, itself a denomination which ascribes to Pentecostalist doctrines. Between 1999 and 2005 Taylor attended St. Kilian's Community School in Bray. Her three older siblings all attended the same school. As well as boxing and playing association football, as a schoolgirl Taylor also played Gaelic football and camogie with her local GAA clubs, Bray Emmets and Fergal Ógs. She was also a member of Bray Runners, a local athletics club. Several American colleges reportedly offered her sports scholarships while she was still a pupil at St Killian's. However, she opted instead to attend UCD. Although UCD is well known for sports scholarships, Taylor qualified via her Leaving Cert results. However, as Taylor's sporting career began to take off, she chose not to complete her studies at UCD. Taylor first began boxing in 1998, aged 11. 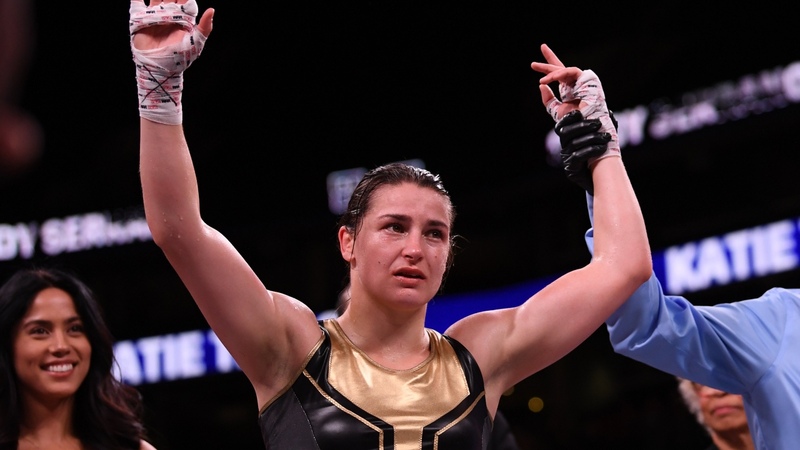 Her father coached her and her two older brothers, Lee and Peter, at St Fergal's Boxing Club, which operated out of a former boathouse in Bray. At 15, she fought the first officially sanctioned female boxing match in Ireland at the National Stadium and defeated Alanna Audley from Belfast. Taylor made her professional debut on 26 November 2016, at Wembley Arena in London, stopping Karina Kopinska in three rounds. On 28 October 2017, Taylor won her first professional world title, the vacant WBA female lightweight title after defeating Anahi Sanchez at the Principality Stadium. 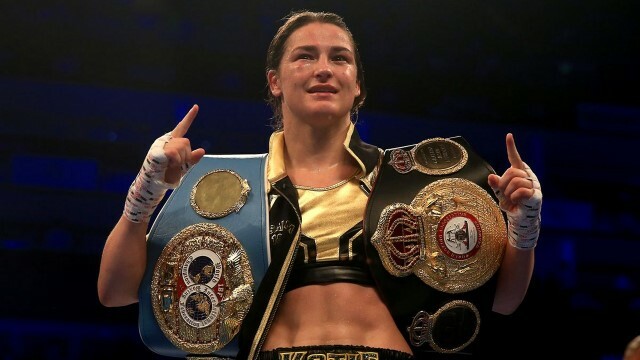 On 13 December 2017, Taylor retained her lightweight world title after defeating Jessica McCaskill in a ten-round contest at York Hall.. On the 28 April 2018 she added the IBF title to her winnings and Since then she has gone on to retain both her titles another three times most recently on the 15 December 2018, against Eva Wahlström at Madison Square Garden in New York City. 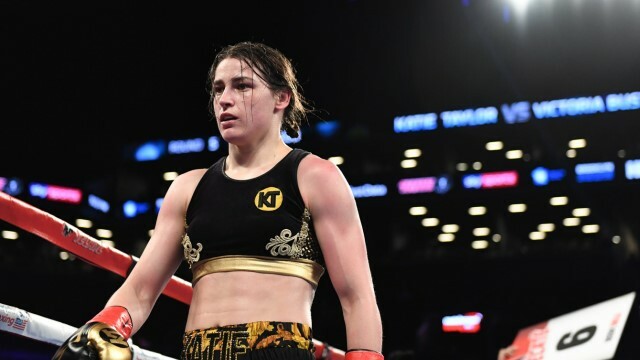 In December 2018, Irish journalist Evanne Ní Chuilinn stated that Katie Taylor accused Delfine Persoon of turning down a "life-changing" amount of money to fight her. Later Persoon claimed to have offered $100000 to Taylor for a fight. Taylor's manager stated that Taylor wouldn't even get out of bed for this sum.